Modeling, Control, and Optimization of Natural Gas Processing Plants presents the latest on the evolution of the natural gas industry, shining a light on the unique challenges plant managers and owners face when looking for ways to optimize plant performance and efficiency, including topics such as the various feed gas compositions, temperatures, pressures, and throughput capacities that keep them looking for better decision support tools. The book delivers the first reference focused strictly on the fast-growing natural gas markets. 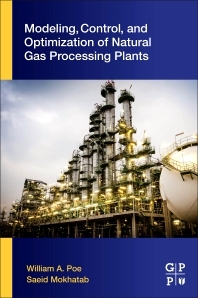 Whether you are trying to magnify your plants existing capabilities or are designing a new facility to handle more feedstock options, this reference guides you by combining modeling control and optimization strategies with the latest developments within the natural gas industry, including the very latest in algorithms, software, and real-world case studies.